Driving along winding, two-lane roads lined with vineyards on my way to Lucinda’s Country Inn in Fair Play, I fell behind a pick-up truck with a bumper sticker that read, “Napa Makes Auto Parts – El Dorado County Makes Wine.” The apparent quip against the more well-known wine region is gaining traction. When Lucinda and Daryl Sullivan bought the property to build their bed and breakfast inn in 1997, there were just six wineries in Fair Play. 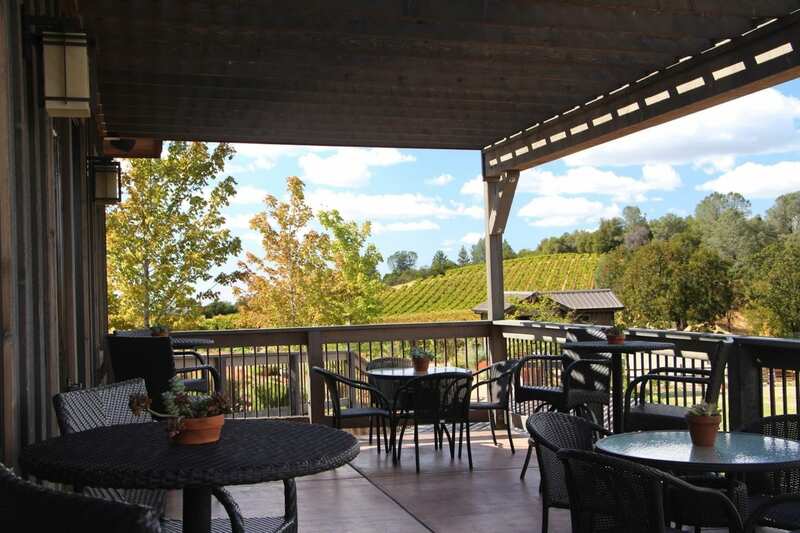 There are now 30 wineries in the region, 60 total wineries in El Dorado County, and dozens more nearby in the neighboring Amador County’s Shenandoah Valley. The Sullivans first fell in love with Fair Play in the mid-1960s when they came up to drive car rallies around the region. Looking for paper plates tacked to trees that marked the route, they followed country roads through gorgeous landscapes that alternated between dense forests and rolling hills. “All the roads connect in loops,” explained Lucinda. Those same interconnected roads now serve as tasting routes through a burgeoning wine region producing about 3,000 cases a year. Windwalker Vineyards and Winery lies just up the road from the inn and offers a lovely tasting room with good wines and a shady deck for picnicking. A little further up the road, Skinner Vineyards sits at the top of a hill offering commanding views and exceptional wines from a family that first began producing wines in the Sierra Foothills in 1861. Centrally located along the winetasting routes, Lucinda’s Country Inn provides a perfect base for exploring the wines and beauty of the region. 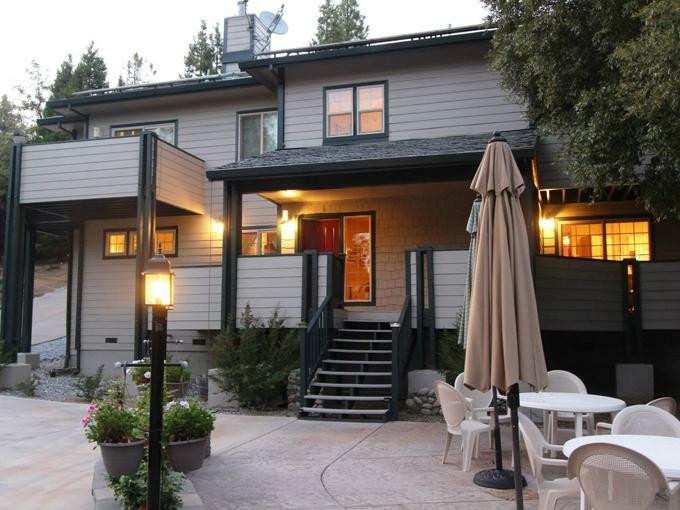 Designed and built as a bed and breakfast in the early 2000s, the inn has a contemporary style with many eco-friendly considerations. Solar panels provide 90% of the inn’s electricity and tankless water heaters provide instant hot water. The inn’s cottage and four spacious guest suites each offer pillow-top king beds with separate seating areas, remote-controlled gas fireplaces, flat screen televisions with HD DirecTV and DVD players, private decks, well-stocked kitchenettes with complimentary sodas, waters, and snacks, and spacious baths with upscale amenities. One of the suites and the cottage feature sunken spa tubs; another suite offers a tiled soaking tub. A large common-area great room features an inviting fireplace flanked with leather couches. 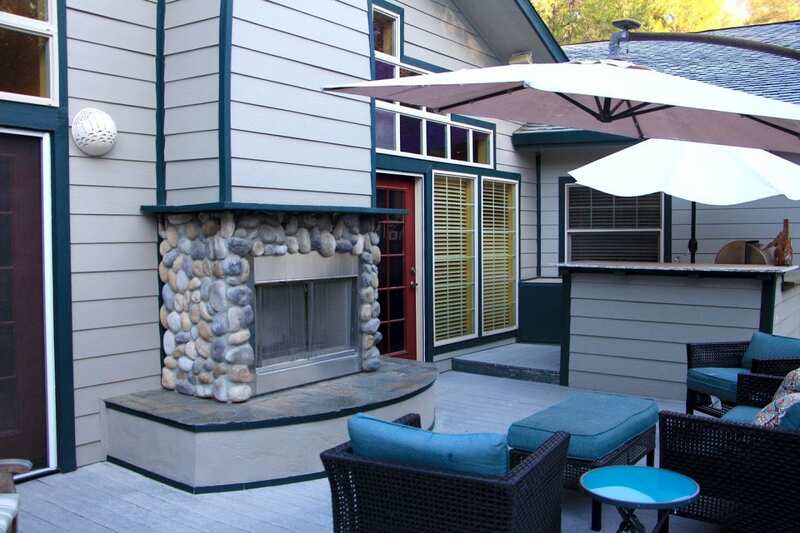 Just outside on the deck, an outdoor fireplace is ringed by cozy patio furniture with shade umbrellas and an outdoor bar. 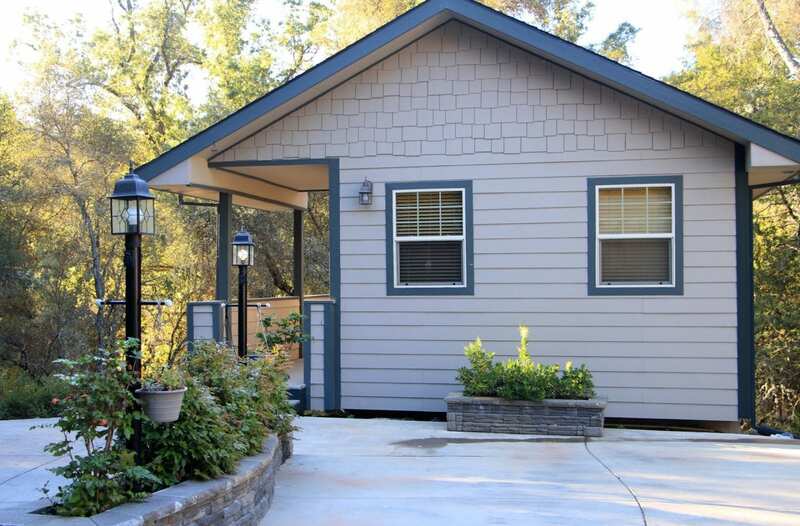 The inn is nestled on 11 quiet, forested acres with more outdoor seating scattered around the inn, a bocce ball court, and a charming creek that was once claimed by gold prospectors. On Friday and Saturday nights, the innkeepers serve complimentary wine and snacks. A home-cooked breakfast is served each morning. The inn also hosts periodic farm-to-fork dinners and murder mystery dinners. When I arrived to the inn, I was warmly welcomed by Lucinda and Daryl and the aroma of chili simmering on the stove. 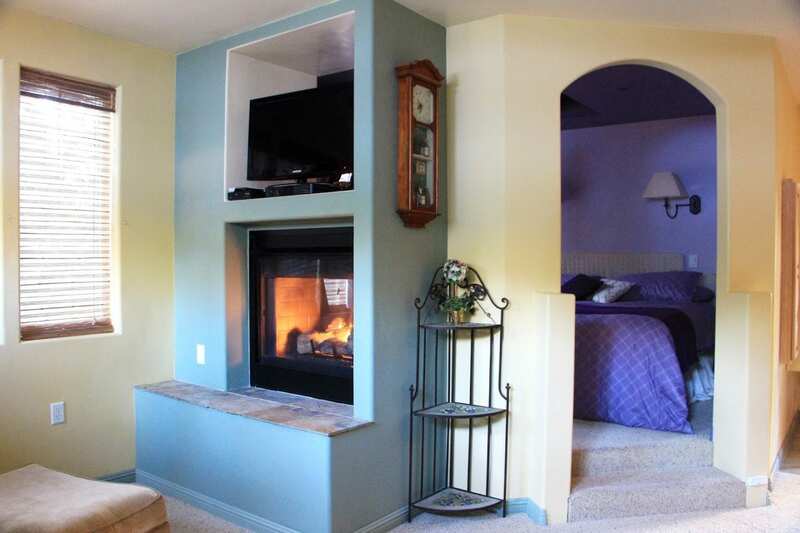 My room, the Vineyard Suite, was decorated in shades of cream, sage green, and lavender and featured a double-sided, see-through gas fireplace connecting the bedroom and living room. 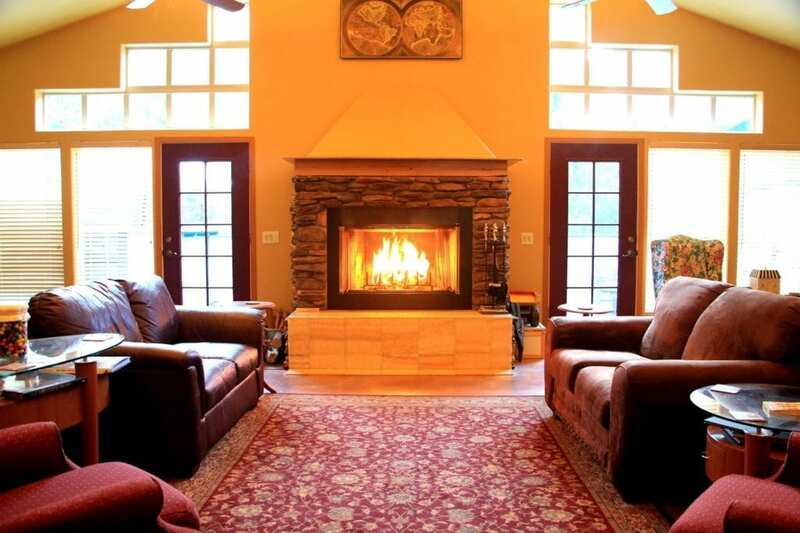 The overstuffed furniture makes an ideal spot to curl up with a glass of wine in front of the fire. A step-up arched entry to the bedroom and a skylight over the bed adds a touch of romance. The large windows in the living room and bedroom offered peaceful views of the forest. The kitchenette was thoughtfully and generously stocked. The bath featured a spacious shower the innkeepers comically refer to as the “human carwash” for all of its nozzle options. In the sunny dining room the next morning, I was treated to one of Lucinda’s breakfast specialties, Country Huevos Casserole. Served in an oval ramekin, the dish featured scrambled eggs topped with melted cheese and the delicious chili that had been simmering the night before. 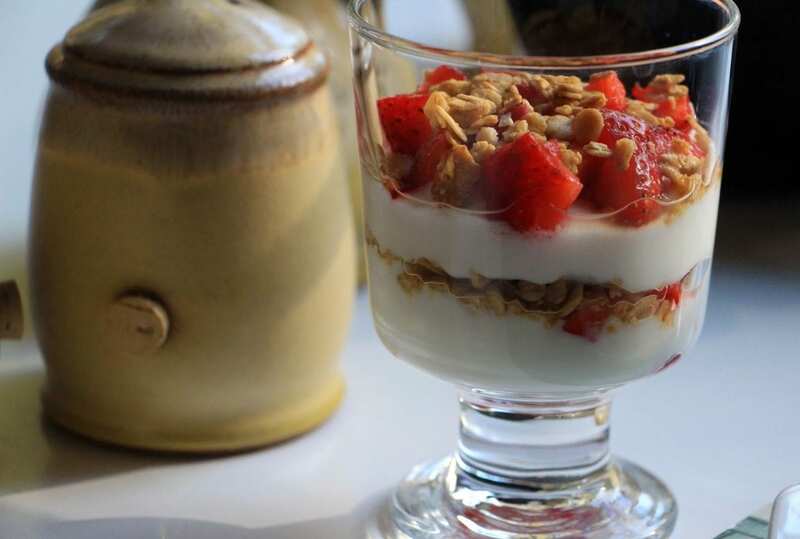 The dish was paired with a strawberry yogurt parfait and warm lemon almond scones. It was the perfect start to a crisp fall morning and full day of exploring Fair Play’s wineries.